View pest management products and services that can help ensure homeowners live uninterrupted by the nuisance of pests. 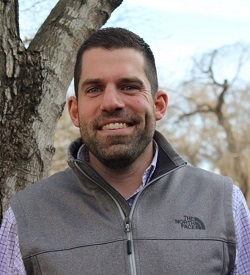 To better support Pest Management Professionals (PMPs) and their businesses, Syngenta has hired Craig Valentine as the newest member of the Professional Pest Management (PPM) territory manager team. He will be assisting customers with their pest management needs in Michigan, Ohio, Indiana, Kentucky and western Pennsylvania. ©2019 Syngenta. The trademarks or service marks displayed or otherwise used herein are the property of a Syngenta Group Company. All other trademarks are property of their respective owners. Tips and new innovative products to stay ahead of the game with Syngenta. Visit PestPartners365.com/Terms for full terms and conditions. © Syngenta. Important: Always read and follow label instructions. Some products may not be registered for sale or use in all states or counties and/or may have state-specific use requirements. Please check with your local extension service to ensure registration and proper use. The trademarks displayed or otherwise used herein are trademarks or service marks of a Syngenta Group Company or third parties. Syngenta Customer Center: 1-866-SYNGENT(A) (796-4368).